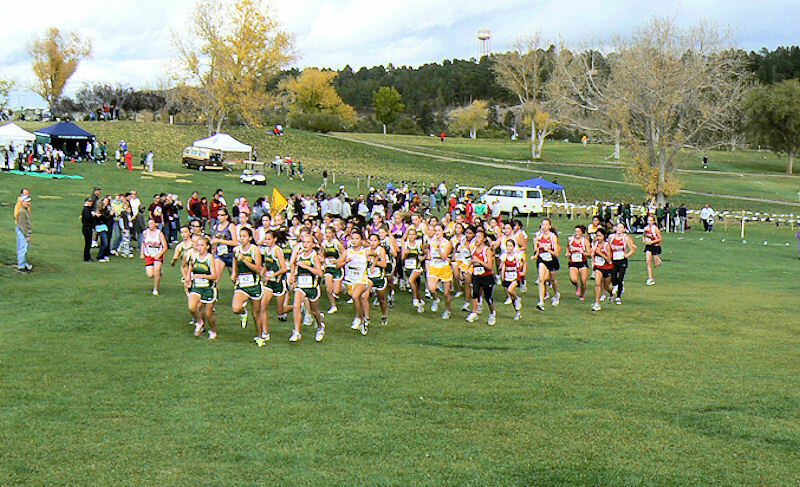 Los Alamos High School's Cross Country Boy's and Girl's teams are often nationally ranked. Here are some pics from Girl's C Team race. 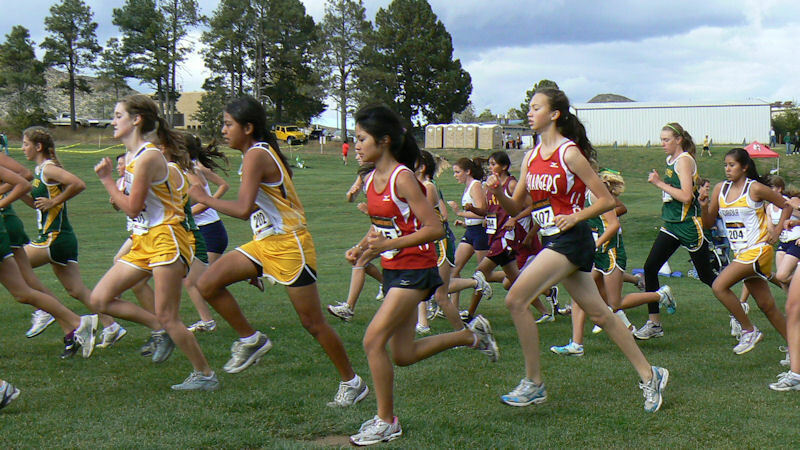 C, JV, Varsity Boy's and Girl's team results. Go Toppers! 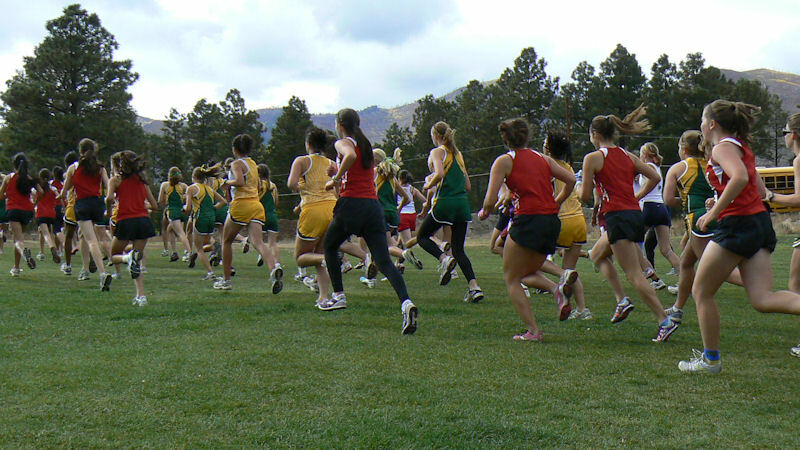 Race held at Los Alamos Golf Course at an altitude of 7300 ft. 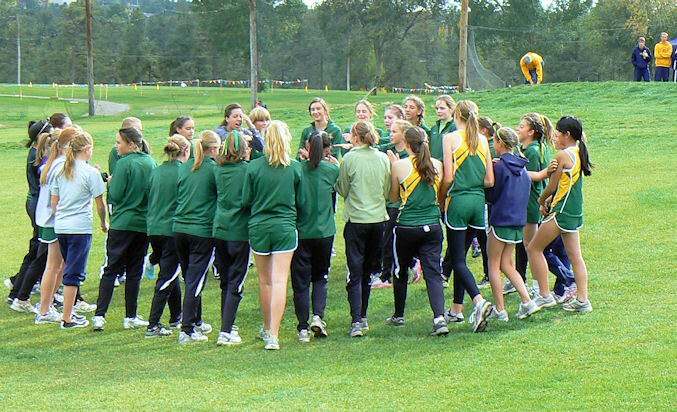 In a time, long ago, I was the LAHS Cross Country Coach. We had very successful teams. 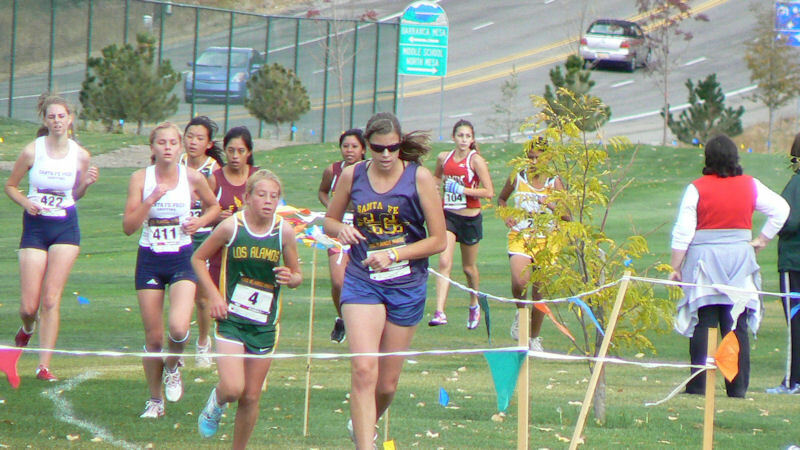 Coaches Robbie Hipwood (one of my LAHS runners) and Cathy Hipwood have led the LAHS XC Team to amazing achievements at the local, state, and national levels year after year. We Have A Sister City! Los Alamos: A Movie Location Again? Where Did All The Buildings Go? Bandelier Is Tuff? Who says? Does ANYBODY Do This? How? Making Room for the NEW LAHS! !